The Sahara Desert has always held a certain mystique in Western minds. Countless tales, films, and images are based on this region and its people. Come and experience a glimpse of what makes the Sahara so special. While the focus of our excursions is on the culture and life of the Berber people, we recognize the desire to see this stunning part of Morocco. 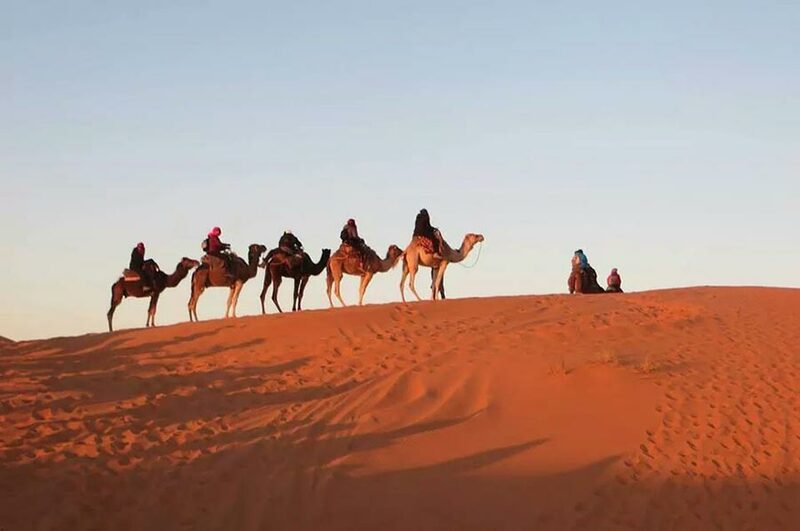 Our Sahara excursions, then, still give you a sense of the life of this region, but also give you a chance to see...we’ll admit it...camels and palm trees! We offer two sample itineraries below, four-day and six-day excursions. We are happy to accomodate other schedules and needs, however. Feel free to contact us regarding details and for a price quote. Head south on the winding Tizi n'Tichka pass. 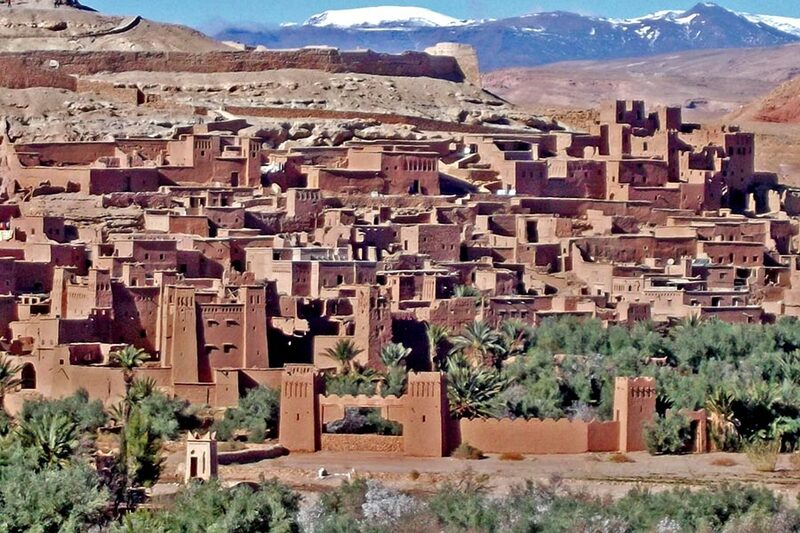 Visit the UNESCO World Heritage Site, the ancient Kasbah of Ait Benhaddou. Move on to Ouarzazate and Tinghir. 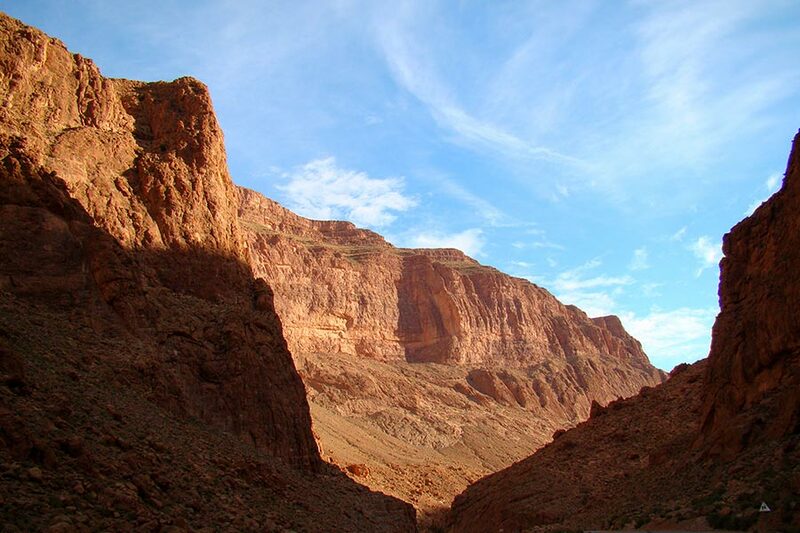 Visit the Todgha Gorges, have lunch at Tinjdad, and drive to Merzouga. 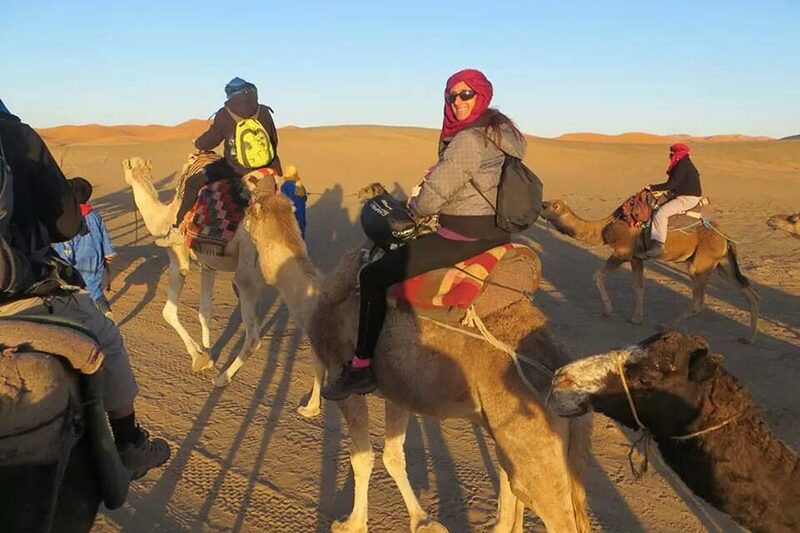 Take the traditional method of transport, the camel, to an overnight camp and explore the Erg Chebbi and its highest sand dunes. Immerse yourselves in the desert culture, dinner, bonfire, and music for a majestic night. Visit the film studios in Ouarzazate, location of films such as Lawrence of Arabia (1962), The Living Daylights (1987), The Last Temptation of Christ (1988), The Mummy (1999), Gladiator (2000), Kingdom of Heaven (2005), Kundun (1997), Legionnaire (1998), Hanna (2011), and an episode of Game of Thrones, season three. Afterwards, return to Marrakech. Drive towards Essaouira on the coast. Stop at an argan cooperative and learn how argan oil is being produced and its different uses, a demonstration normally given by the local women. Arrive in Essaouira to discover this coastal city’s history, music, art, fishing, colours, and more. Visit the port and explore more of the medina. Have lunch at the fish market and then drive back to Marrakech. Transfer back to the airport if necessary.